Anne and Beanie was my RMIT Melbourne AIM's master minor project. A simple 10 minute puzzle game with a focus on 2D visuals, 2 engaging characters and an atmospheric environment aimed to provoke an emotional experience. And a Mac Version will be updated soon. For more information Updates or my other interactive projects and animations. Please check out this link. A Valentine's gift to Anne. I draw her a little bright red umbrella to cover the rains. For those who is not in love. Keep smiling and searching for light. I'm here to remind that Anne & Beanie is still under development by me. Sorry for taking so long, but I can promise that I'm spending days to days from my spare time, using my heart and soul in this to make it as good as possible. Please don't forget about Anne & Beanie and Follow Anne & Beanie. Check out a walk-though/review youtube video done by other player - Sense723. 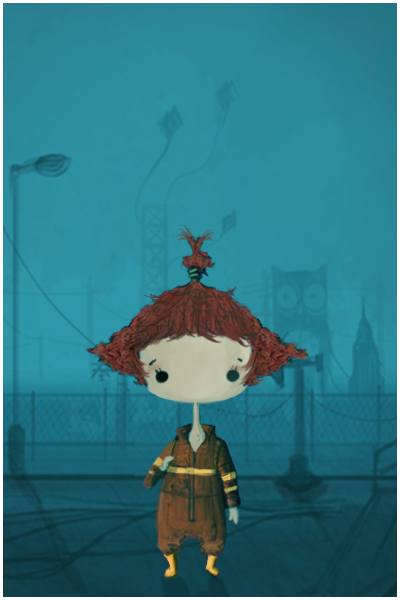 A New up coming stunning 2D short storytelling student game - Anne & Beanie. Game have a great atmosphere.Please make a continuation. Thanks for your support and the screenshots looks great.